Instagram is my favorite social media platform. I love to check out home decor, natural hairstyles, and outfits of the day. However, I also like to use Instagram to make my homeschooling more interesting. The homeschool community is well represented on Instagram, so you may want to take time to explore it. 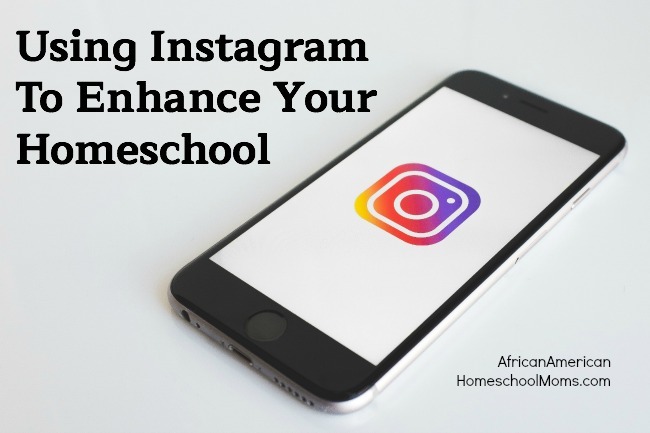 Here are some of the ways I use Instagram to enhance my homeschooling. Follow favorite authors. If there’s an author your kids love, follow that author on Instagram. Author pages often feature updates, giveaways, and book tour dates. An author’s Instagram account is a great way to get amazing behind the scenes info about books and characters. Follow a few foodies. Like many homeschool moms I know, I spend quite a bit of time in the kitchen each day. I’ve got to get food on the table several times a day. So if I need meal inspiration, I’ll check out Instagram’s gorgeous pics of mouthwatering meals, as well as links to accompanying recipes. Find fun projects. Homeschoolers all across the country are completing amazing projects. Find inspiring homeschool “how to” by searching homeschool related hashtags. It won’t take long for you to find some great projects your kids will want to try. Create your own homeschool portfolio. Instagram is a fun way to keep track of what you do during the school year. Snap and post pics of fun field trips, awesome activities, and of course, those enjoyable every day moments. Consider posting at least one picture each day. What a fun way to document all you’re doing this school year! Make connections with fellow homeschoolers. As you like, comment, and follow others, you may find yourself making connections with other homeschool families. Perhaps the homeschool mom you follow uses the same homeschool approach as you or maybe she’s using the same math curriculum. Jump into the community by asking questions and sharing what you know. Social media has changed the way homeschoolers interact and Instagram is no exception. Now, with just a few keystrokes homeschool moms can connect with others and discover new ways to enhance their homeschools. Are you on Instagram yet? Google Classroom is a powerful educational platform that uses Google Docs, Google Drive, Google Calendar, and Gmail as tools to help educators plan, create, schedule, communicate, and distribute course information. If you’re new to Google Classroom, you’ll definitely want to take the time to learn how to use it effectively. One of the best ways to do so is by viewing tutorials. Here are a few thorough Google Classroom tutorials, plus a link to the Google Classroom Support and Forum, to help you get you started. Once you’re familiar with how Google Classroom works, you may want to look for more detailed subject matter videos. Search for specific topics (how to create a test, how to add playlists, etc) to get the most usage from the platform. Because Google Classroom is such a powerful platform, it can be used in many different ways. 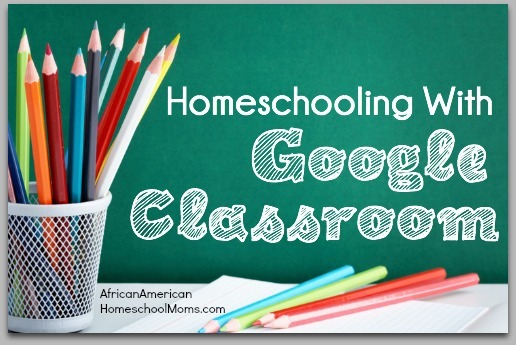 If you’re not sure how Google Classroom can be used in your homeschool, I’ve listed some suggestions to help you make the most of this powerful resource. Create a calendar. Keep track of assignments by using Google calendar. Add files. Files can easily be added to and downloaded from Google Classroom. Add announcements. If you’d like alert your child to important information, create an announcement for him to see. Check your child’s activity. See when your child was last active in the classroom. Send due date reminders. Reduce the last minute rush to complete assignments by sending reminders in the days prior to the due date. Set up future assignments. Stay one step ahead in your planning by adding assignments today and scheduling them for a later posting date. Keep track of grades. Another task that is a breeze within Google Classroom. Communicate with your child. As your child works on assignments, she can leave comments or questions for you to see. Responding is also easy to do. Invite others to join your class. This is a great option for those teaching co-op classes or for moms teaching a single class to multiple children. Create YouTube playlists for students. Share videos related to the class. Children can access all videos in one place..
Link to websites. Send students to relevant sources using specific outside links. Create tests. Whether your tests feature open-ended or multiple choice questions, Google Classroom provides the tools you need to create them. Add photos. Upload photos and use them however you like. Photos can provide examples of subject matter or be used as writing prompts, etc. Recreate assignments with ease. Easily recreate and tweak frequently used forms such as discussion questions for vocabulary lists. I’m thrilled about this update to Google Classroom! I’ll use it to create classes for my girls, but I’ll also be using it to plan coursework for the weekly literature and writing classes I teach. Do you already use Google Classroom? Do you have tips for additional usage? If so, feel free to share them here or start a discussion about Google Classroom over in the AAHM Facebook group.